Halloween 2018 knocks on the door! Celebration night usually includes costume party or staying at home to celebrate by watching scary movies. 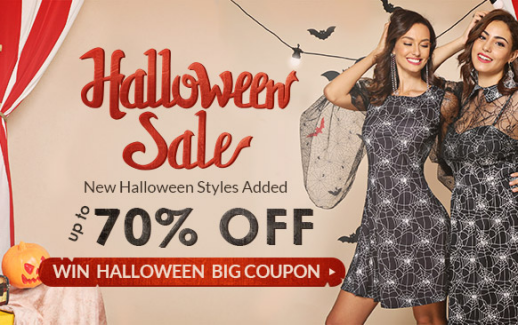 Take a look at Rosegal Halloween Sale and you will not be disappointed. Some of my favorites are below. Hope you like these super cute black dresses. If you use some of coupon codes below you can quite save.